Residential areas that do not have city sewers typically have septic systems on individual properties for sewage treatment and disposal. The system can go well for years without the property owner sparing a thought for it. However, when it develops a problem, it is advisable to call in trained professionals like those at VAC-TEC LLC. to perform the required repairs. We lose no time in dispatching our emergency septic repair team to your Buckley home or commercial property. They conduct a quick septic system inspection to locate the exact cause of concern so that it can be fixed. We may carry out the emergency septic repair fast, but make sure to do effective and enduring work. Sometimes, all our emergency septic repair experts have to do to get the system up & running is perform septic tank pumping. 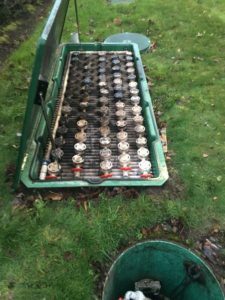 Though we offer septic tank cleaning as a regular septic care and maintenance service, we also handle emergency septic pumping & cleaning jobs in Buckley. When this happens, you have no option but to bring us in for emergency septic pumping & cleaning. You may also need our emergency septic pumping & cleaning services if a special family/business event puts excessive load on your septic system and you find that the septic is overflowing. 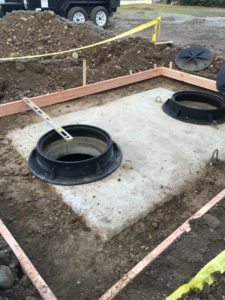 When you hire our services for emergency septic pumping & cleaning in Buckley, you get more than a clean, empty septic tank and an efficient septic system. You also get guidance about proper septic operations and maintenance. If you follow it, you will not ever have to rush about seeking emergency septic pumping & cleaning services. Dial (206) 339-0039 to hire VAC-TEC LLC. for emergency septic repair or emergency septic pumping & cleaning in Buckley.